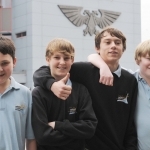 Four members of saltash.net Warhammer Club recently took part in the Games Workshop School League Regional Finals, held in Warhammer World at Games Workshop UK HQ in Nottingham. 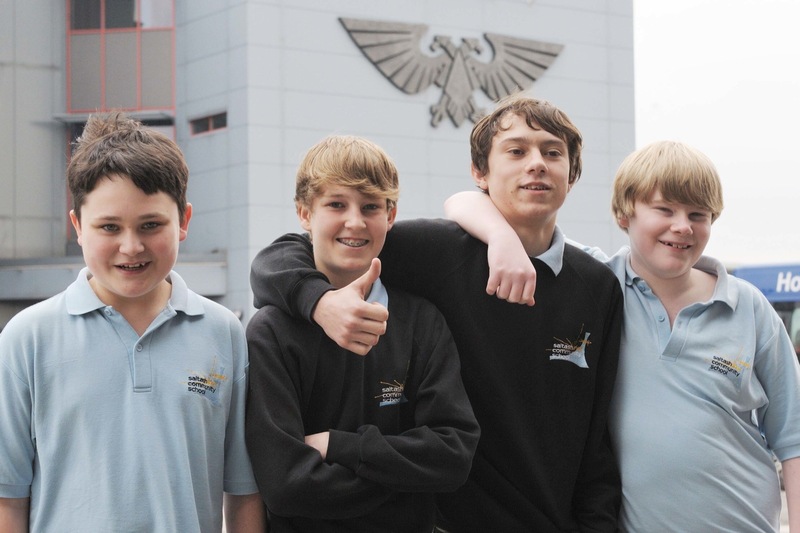 After successfully qualifying at the local Regional Heats in March, the club members Zak Russell 14, Luke Taylor 14, Sam Sowden 13 and Aaron Boswijk 14 travelled to Nottingham the night before the Final. 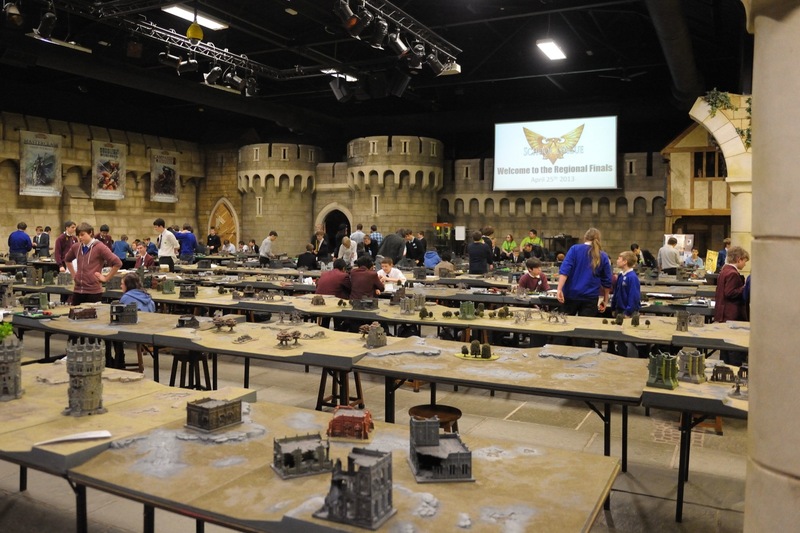 The following morning, after a night of preparation, they arrived at Warhammer World and had their first of three individual matches. After putting up stiff resistance against the forces of their opponents throughout this match and the ensuing two, the team managed to achieve one win and two draws. Despite some very experienced opponents with sometimes strategically superior forces, saltash.net Warhammer Team gave very good account in all their battles. The event finished with a quiz in which the team were able to test their knowledge in all aspects of the game.